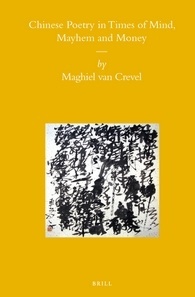 on the level of structure or mechanics, the book could have been improved in one fundamental way: including all Chinese poems cited in their original as well as translated form … I believe there is a practical solution to this omission … [The MCLC Resource Center] would appear to be a likely venue to host a supplement volume to Van Crevel’s main text that contains all the original Chinese poems cited in his book . . . I already have indicated that this book is a must read for all interested in contemporary Chinese culture. It should be a companion to graduate seminars. The supplement would ensure that. Shame on me for being slow to respond. I found myself in the middle of a stretch of heavy administrative work that lasted until fall 2016. This taught me a great deal, but it also ate me alive. But shame nevertheless. Even if the supplement weighs in at close to a hundred pages, and there were always a thousand other things that needed doing now during my years on the Dark Side, as I’ve heard it called, I should have done this earlier. I am immensely grateful to Wu Jinhua 吴锦华 for her generous help. I am also very grateful to the poets, for permission to reproduce their work; and to the MCLC Resource Center, for its willingness to let me in after hours. On reflection, Jinhua and I decided that in this case, more is more after all, and included the originals of citations from the Chinese-domestic discourse on poetry that is also the object of research throughout the book: Haizi’s apotheosis, the Lower Body manifesto, various authors’ musings and rants on poetry, the Popular-Intellectual Polemic, and so on. I hope this document will enhance the reader’s engagement with the poets, critics, and scholars in question. The book it supplements can be downloaded for free (click ‘Read’). To read and/or download a copy of the supplement itself, click here.